It’s the night of the party, y’all! We’re kicking off #year5 of the Salon tonight (and hope to see you there! 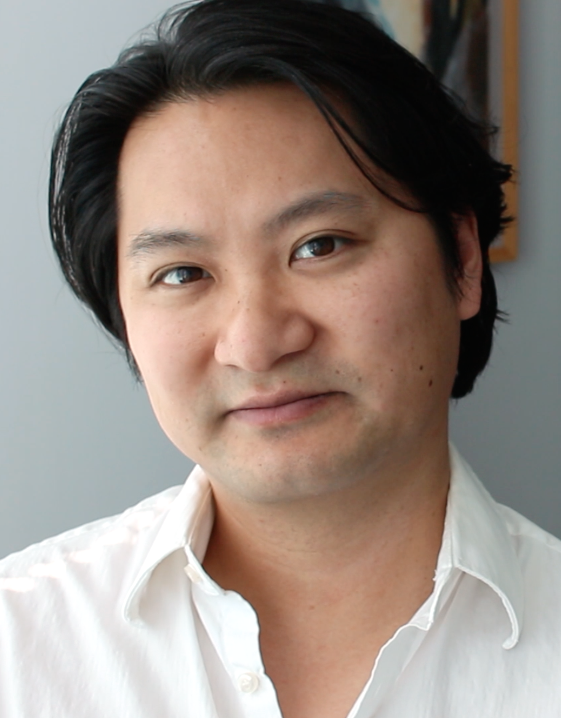 ), and bring you this Q&A with playwright Don Nguyen as his response to our theme “To Serve and Protect” – both personal and in his writing – really excites us. Q. In writing for the Directors Salon, how did you interpret the prompt “To Serve and Protect” and how did it inspire “MAN. KIND.”? A. I was really drawn to the question of what separates service from servitude and who are we obligated to serve and who are we obligated to protect. I wanted to interrogate these notions through the lens of what’s currently been going on in our country and write a timely piece that explore these events, but I gave up and wrote about cave people instead. Q. What personal significance does the phrase “To Serve and Protect” have for you? A. When I was a child growing up in Vietnam during the war, I remember watching these soldiers standing guard in front of the Naval Defense Attache Office in Saigon where my dad worked. They were armed with guns and I was terrified by them even though I was told they were there to protect me. I think it had less to do with their guns (though terrifying), and more to do with the fact that they never ever MOVED. They were so still, like creepy statues. One day I tripped and fell in front of one of the statue-like soldiers and started bleeding and this soldier gently picked me up and alerted my parents and got me to a hospital. It was the first time I realized how human these soldiers were and I stopped being so terrified of them. That moment in my life is partially why I admire and am grateful for the people whose occupation or calling is to serve and protect, but I think we can all agree that there is a much larger conversation that needs to happen about dereliction of duty and complete and utter racism amongst both the armed forces and civil servants in our country. Serving and protecting has to be a noble and selfless act. The moment it becomes less than that, is the moment the entire idea breaks down for me. Q. What are some key elements of a successful director/playwright collaboration? A. Not only for a playwright/director relationship, but for all relationships, you need: Trust, communication, and telepathy. The first two are self explanatory. The third, telepathy, means that there is a certain level of clairvoyance between the two, this silent unspoken vocabulary that you both share through a gleam of light in your eye, a simple and subtle nod, a nudge of the elbow. Sometimes it takes years and years of working with someone to reach this level of telepathy. Sometimes it happens as fast as lightning. Like LOVE. It sounds silly but I believe that. If you’re bearing your soul to someone else and subjecting yourself to such an excruciating level of vulnerability, you might as well be in love with them. Q. How can emerging directors meet and develop a relationship with a playwright? What has been your experience? A. I’ll let you in on a little secret: Playwrights will go on coffee dates with just about anybody. Not because we’re lonely, but because we like people. And we especially like people who like us enough to ask us out on coffee dates. Or maybe that’s just me. I also think it’s paramount that both Directors and Playwrights familiarize themselves with each other’s work, through readings and productions. I find it shocking the number of playwrights and directors I know that don’t go to readings or see each other’s work. That is part of your job, to know who is out there doing the really interesting work. In my own experience, I’ve worked with directors I’ve met through writers groups, directors assisting on productions, ten minute play festivals, and developmental conferences. But also coffee dates. Q. What are you up to next? A. I have a Star Trek play reading/drinking game event coming up called THREE TO BEAM UP: Drink Long and Prosper. It’s basically me humiliating myself by sharing the first play I ever wrote (16 years ago!) with no attempts to improve it and you must take a drink each time there’s a reference to Star Trek, a bad joke or pun, on-the-nose dialogue, overused cliche, outdated reference to technology, or far fetched plot twists. More info here. Don Nguyen’s short play “MAN. KIND.” will be performed on Sunday, March 22nd at 7pm at The Wild Project and will feature Bradley Anderson and Lucy DeVito. For a chance to direct Don’s play, make sure to attend our Kick-Off Party TONIGHT, Monday, March 9th at 7pm at The Wild Project to throw your name in the hat! For more information, visit our Facebook event. This entry was tagged #year5, Directors Salon, Don Nguyen, opening night party, playwrights, Q&A, the 5th anniversary working theater directors salon, Working Theater. Bookmark the permalink.